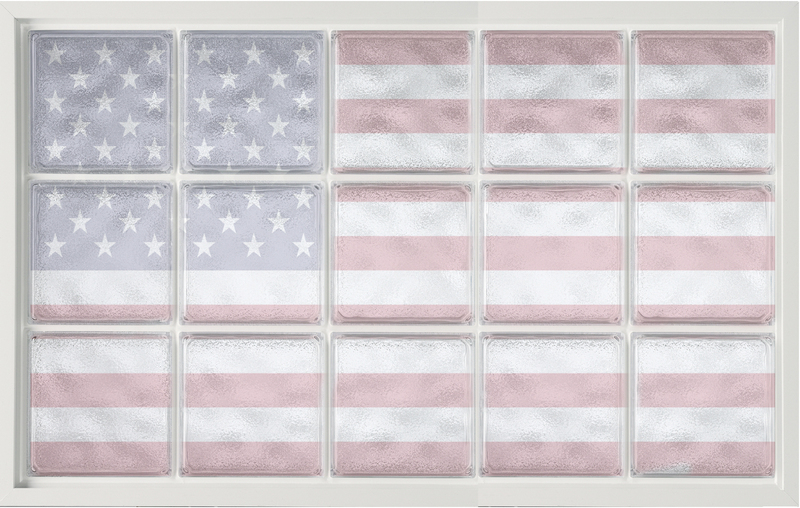 Happy "Made in U.S.A. Day"
For the past 30 years Hy-Lite® has been making thousands of acrylic block windows --- one block at a time. Our Florida-based operation manufactures approximately 500,000 acrylic blocks each year to include in our privacy windows. "Made in the U.S.A. Day on July 2nd is the ideal time to remind people that there are wonderful products made for the home in America," says Roger Murphy, president of Hy-Lite, a U.S. Block Windows Company. "We have several dozen employees in our Pensacola facility who make our acrylic blocks and skillfully put together our popular windows." According to Murphy, fixed acrylic block picture windows are the best selling product sold by Hy-Lite each year. "These large windows, whether made with our wave or glacier patterned blocks, are extremely popular," says Murphy. "Year after year the picture window is our number one selling acrylic block product. People crave privacy in various rooms in their home and this window answers that call for privacy." Murphy goes on to relate that the individual acrylic blocks made by Hy-Lite are all manufactured with U.S.A.-made acrylic resin materials. In addition, all of the window framing materials used by the company, whether vinyl or aluminum, are made in America with U.S.A.-produced materials. Silicone used by the company for sealing and glazing the windows is also made in the U.S.A.
"We're very focused on Made in America aspects for our best-selling acrylic block windows," says Murphy. "Even our shipping materials, recycled or otherwise, are made in America. Wherever we can, we're focused on producing American made products and providing jobs to American workers."